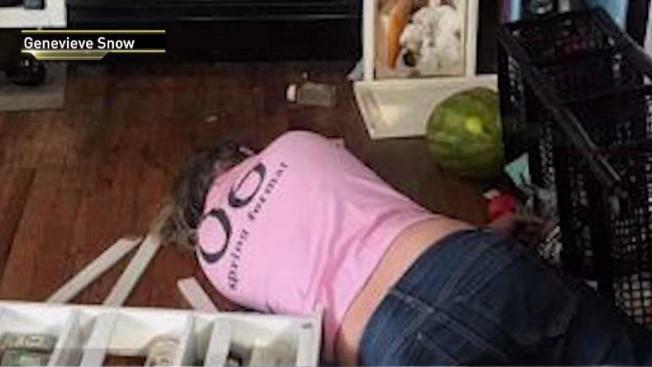 When the Brooklyn resident's roommate got home, one of the cleaners was passed out on the floor, and much of the apartment was "upended and smashed"
A Brooklyn resident who hired two women to clean her apartment discovered they had trashed the home and drunk her liquor. Jummy Olabanji reports. 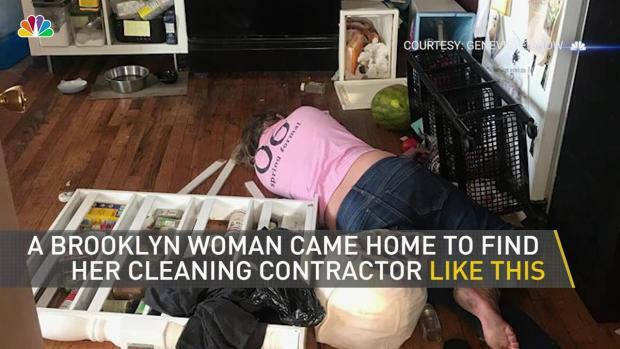 A Brooklyn resident hired two women to clean her apartment — only to discover one of them passed out on her floor after the pair trashed her home and drank her liquor, she says. 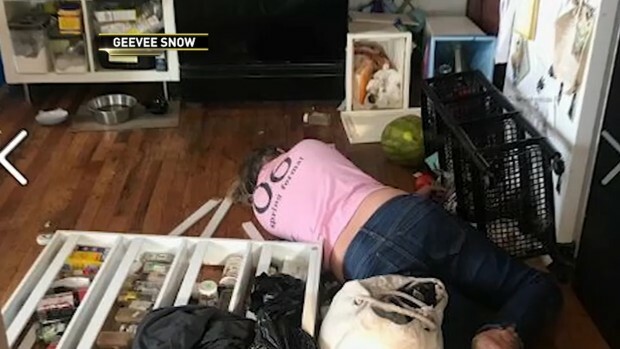 Genevieve Snow hired the women through Brooklyn-based Joanna Cleaning Service on Aug. 27, paying $185 plus a $60 tip for them to clean the common spaces she shares with three other roommates in Williamsburg, she told News 4 New York. “There’s four of us living here and we’re pretty good at cleaning up after ourselves, but it’s nice to have a deep clean every six months or so,” she said. After Snow let the woman into the apartment around 8 a.m., she headed to her office, she recalled. But when her neighbor went over to pick up her keys around 1 p.m., he was shocked to find the two women asleep on the sofas in the apartment, she said. A Brooklyn woman says drunk cleaners drank her liquor and trashed her home. See the images in the video above. “I thought that was very unprofessional, but I didn’t call the police or anything, because I figured maybe they had been working really hard and they had another gig that evening,” she told News 4. Snow emailed the woman she’d been in contact with at the cleaning service, but assumed the cleaners would leave after her neighbor saw them sleeping. When one of Snow’s roommates got home around 5:30 p.m., however, one of the woman was passed out on the floor of the apartment. “The apartment was left wide open, keys were missing, everything was upended and smashed,” Snow said. That’s when Snow called the police, she said. “My first reaction was panic. I thought maybe someone had inhaled cleaning fluids and was dead,” she said. When police arrived, Snow learned that the woman was drunk, she said. A spice rack in the apartment had been smashed, the coffee table was flipped over and nearly a liter of vodka and gin had been consumed, she wrote in a post on Facebook. Police “spent 45 minutes getting [the cleaning lady] together enough to put her in an ambulance,” Snow said. “She was too drunk to put her flip flops on — she could hardly say her name,” she said. Officers at the scene wouldn’t take a police report, as Snow had let the women into the apartment, she said. Later that evening, Snow spoke with someone who identified herself as Joanna — the woman through whom Snow set up the cleaning — and the woman initially promised the company would return the cleaning fee and tip and pay for a $125 lock replacement and the $59 spice rack, Snow said. But after some confusing back and forth, the woman ultimately refused to refund Snow and stopped responding to her, Snow said. Snow says she gave the woman until the end of September to repay her, but when that didn’t happen, she took to Facebook, she said. 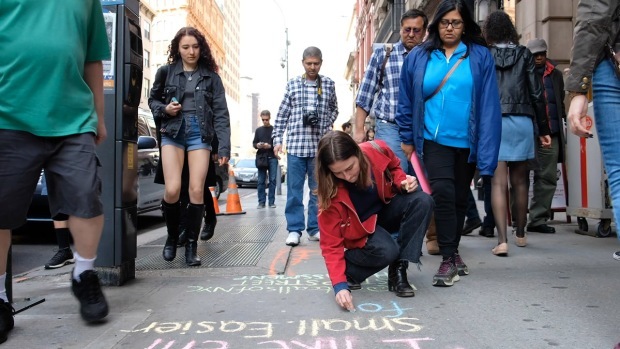 After the post went up, a woman who identified herself as Joanna called Snow, claimed she “had the wrong Joanna,” and maintained the cleaner who passed out at Snow’s apartment hadn’t worked for the service for five years, Snow said. When News 4 reached out to Joanna Cleaning Service on Wednesday, the owner claimed the two cleaners weren’t affiliated with her company and said an ex-employee had started her own company with a similar name. The ex-employee must have reached out to Joanna Cleaning Service’s past clients via email, the owner maintained. Snow told News 4 she just wants the owner of Joanna Cleaning Service to repay the $400. She and her roommates will still consider using a cleaning service in the future, but not without taking precautions, she said.